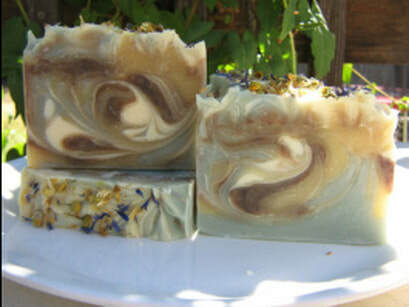 Artemisia Herbals is a maker of quality soaps, creams, body butters and aromatherapy blends. Pure oils, organic butters, milks, clays, mineral micas and botanicals are selected and blended to create a luxurious skincare experience. We have a year-round market! You can come on down to the Mountain People Organics Market in Columbia and do your shopping on Wednesdays from 11 am-5 pm and Saturdays from 11 am-5 pm. It is located next door to the Columbia Airport on Airport way in the old Armory building. 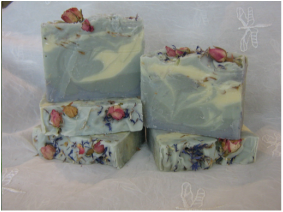 So come visit us at the "Farmory" where you can find organic produce and groceries, local honey, handmade breads and pastries, handmade chocolates and toffee, gluten-free goodies, cut flowers, local grass-fed meat, hand-made crafts and clothing, organic loose leaf tea and spices, and of course all-natural body care and soaps!